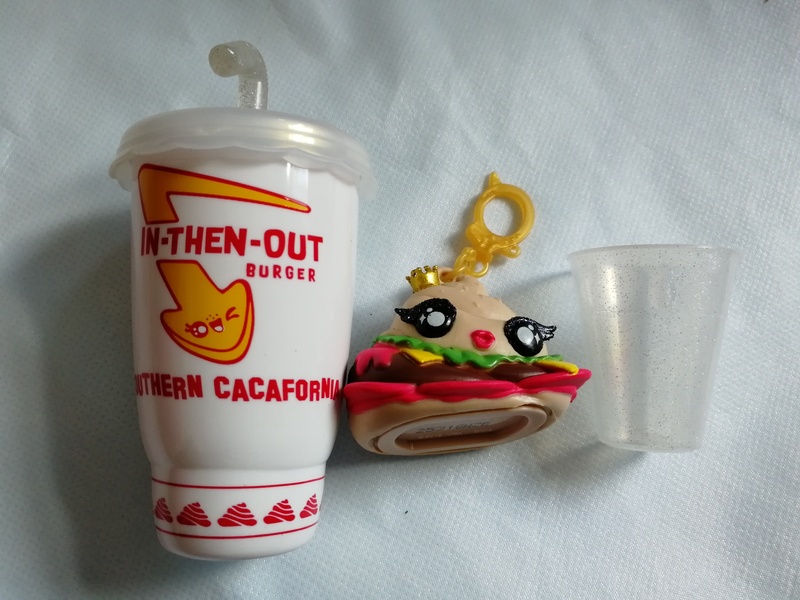 We were sent these for the purpose of review. All thoughts and opinions are our own. Jack is a big fan of slime. 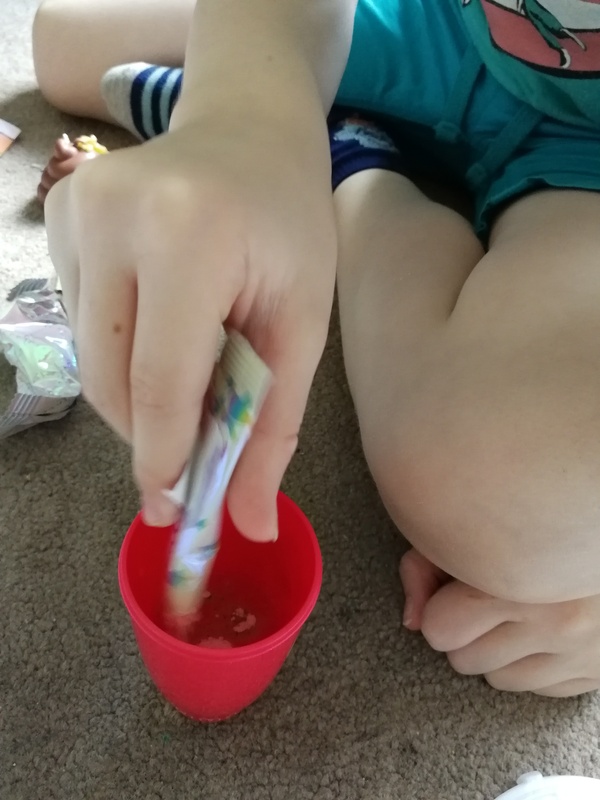 So when offered the chance to review some of the new Poopsie Slime Surprise range, I knew he’d like it. He also finds all things toilet humour funny such as poop so he loved the name! However I am quite aware that the name may not be for everyone, haha! We were sent two from the range and couldn’t wait to see what was inside. Each set contains the ingredients you need to make your own glittering, customisable poopsies. Each one has 10 surprises and there are 18 in the range. For ages 5-10 years and available at Smyths, The Entertainer and Argos for £9.99, this is the perfect gift for a slime obsessed child like mine. So what do you need to do to make the slime? Crack open your pots and see what you find! 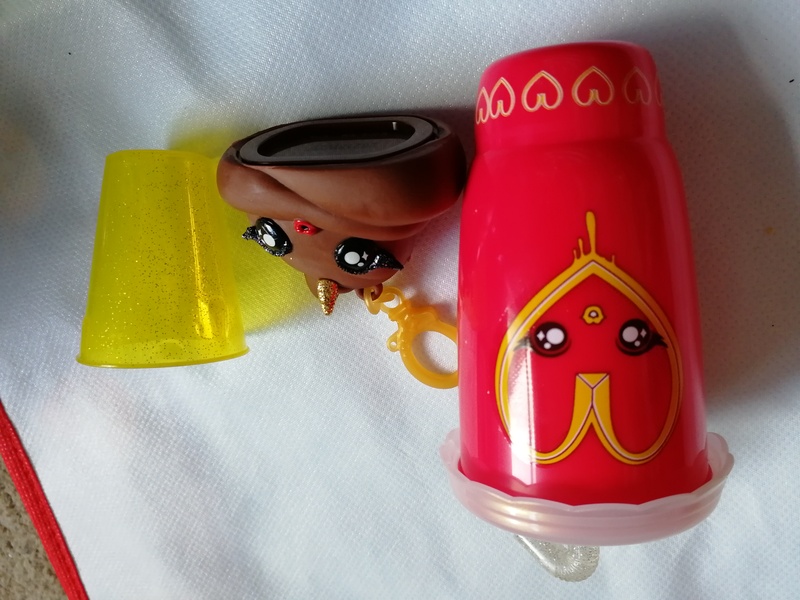 Inside you will find what resembles a toy takeaway cup, a little beaker and your Poopsie character. Above shows the two we found. 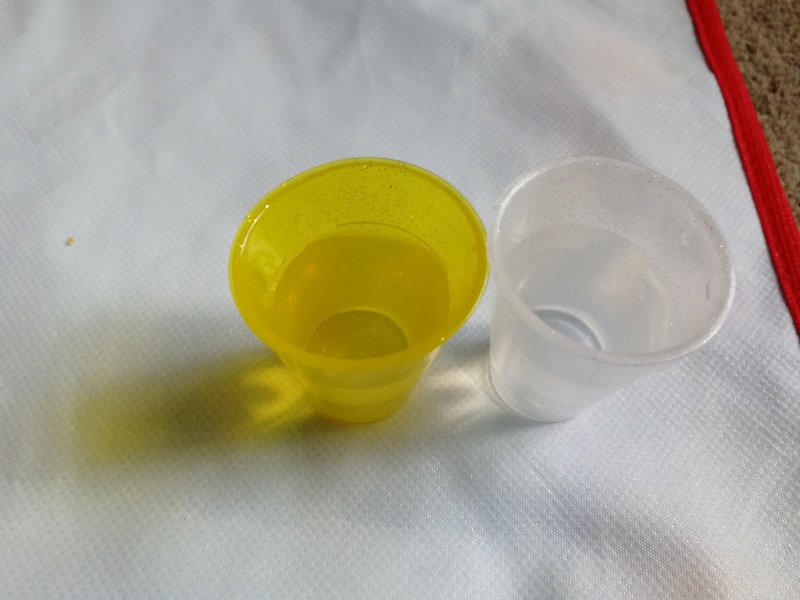 Now you may be wondering what the beaker and the big takeaway cup is for – well this is where the slime making comes in! 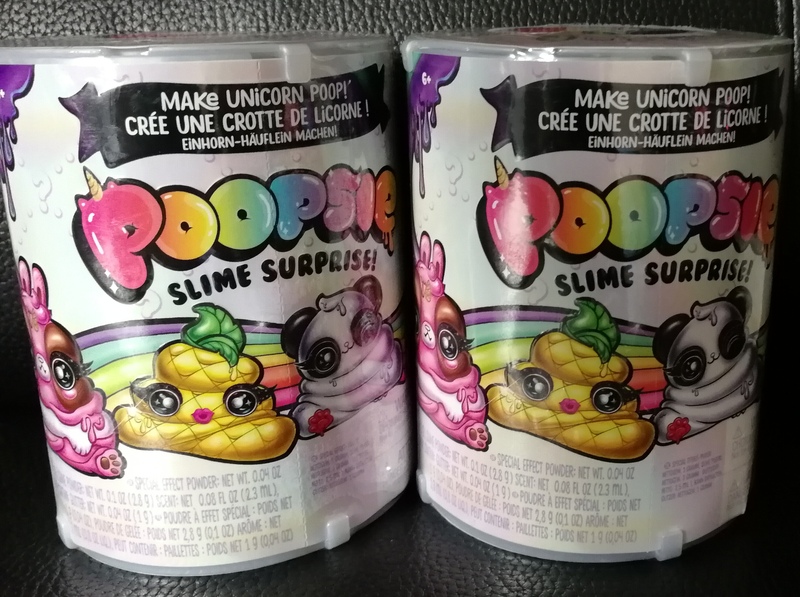 You also find some different packages like those shown above – these have a magic spoon (perhaps to mix stuff into the slime), unicorn food, unicorn magic dust and surprise scent. 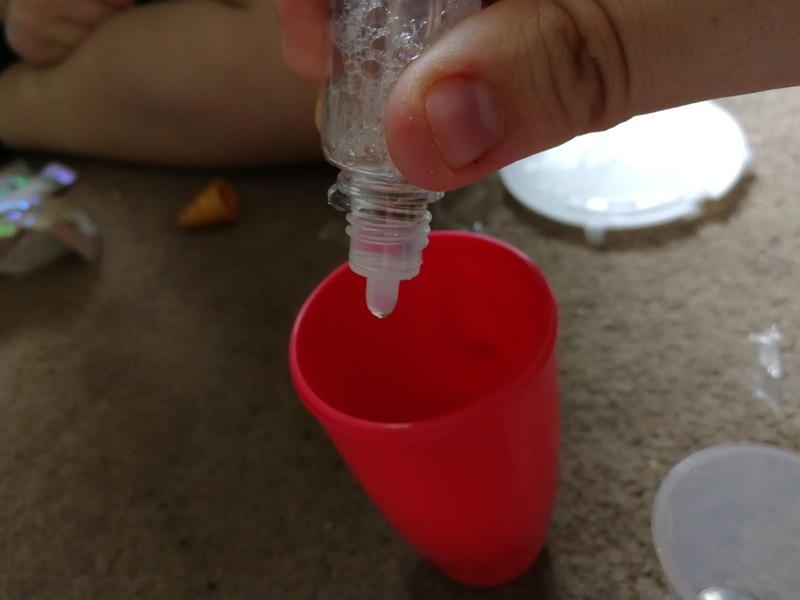 You just need to fill your beaker to the fill line with water, pour it into the cup, fill it once more and add into the cup again before adding the unicorn food. 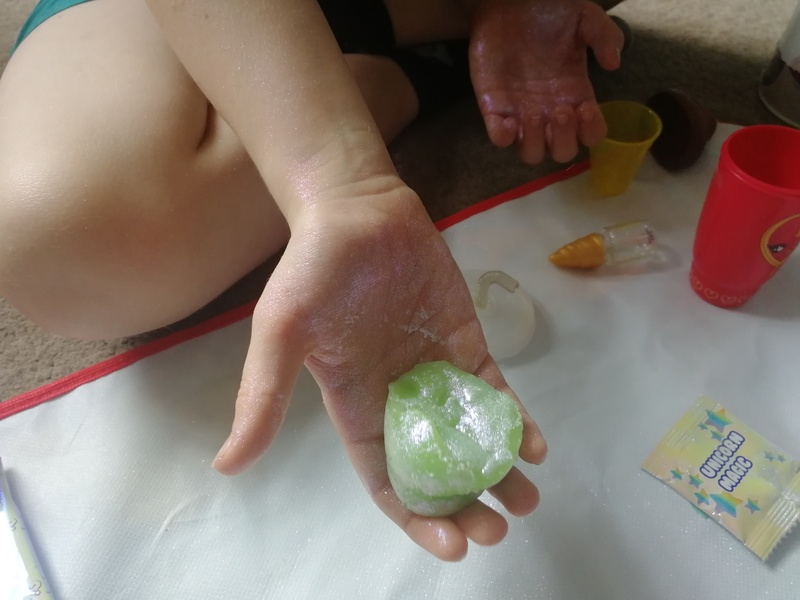 You then shake for a couple of minutes before leaving for twenty or so minutes for the slime to harden into the slime like texture you know and love rather than the water and powder mix. It does say twenty minutes on the sheet but ours took a little bit longer to do. 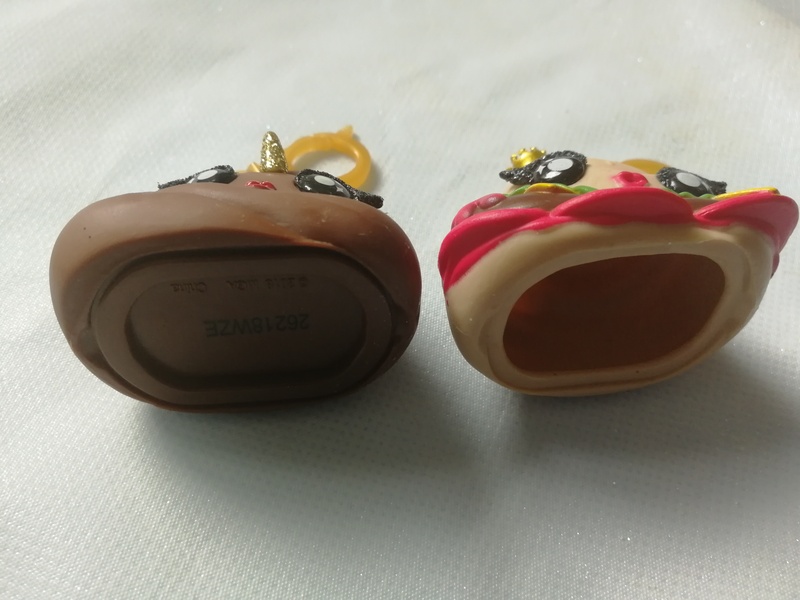 After that time has passed, you can bring out your slime and get it ready for the surprise. 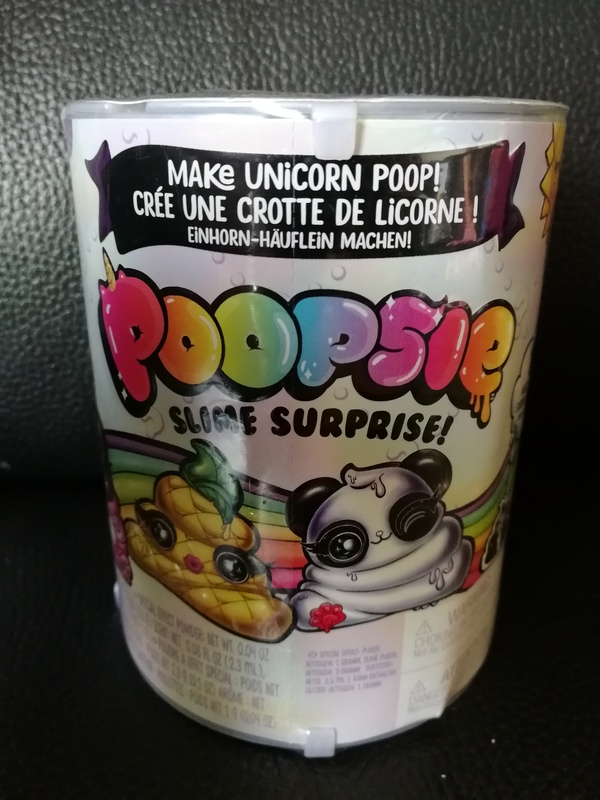 Depending on your Poopsie, you may only have some Unicorn magic dust. 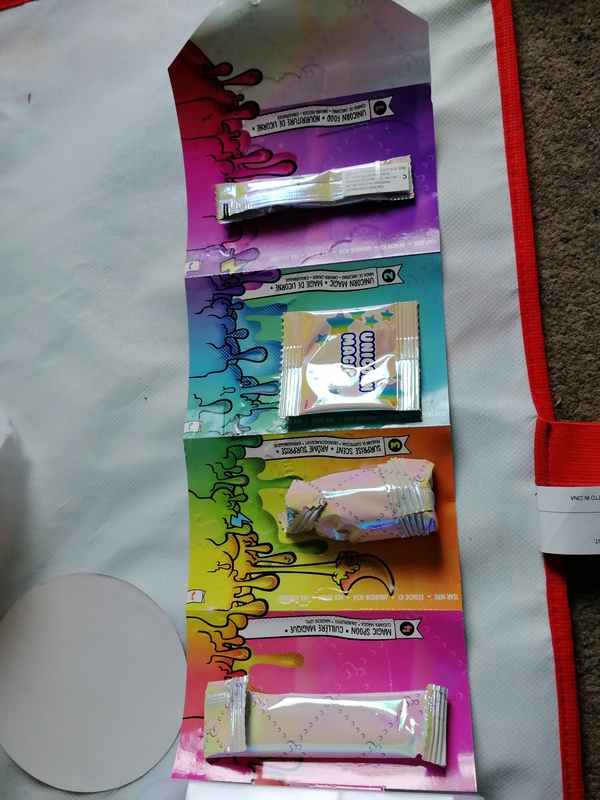 If you have a super rare one, you will have an extra sachet to include with your slime. 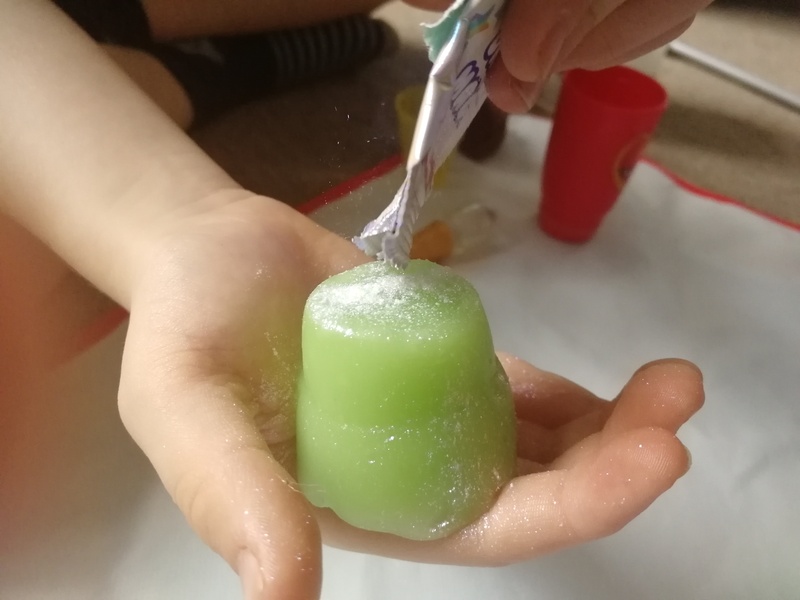 You then sprinkle it onto your slime and make sure your slime is absolutely covered all over – and then it will change to a surprise colour! 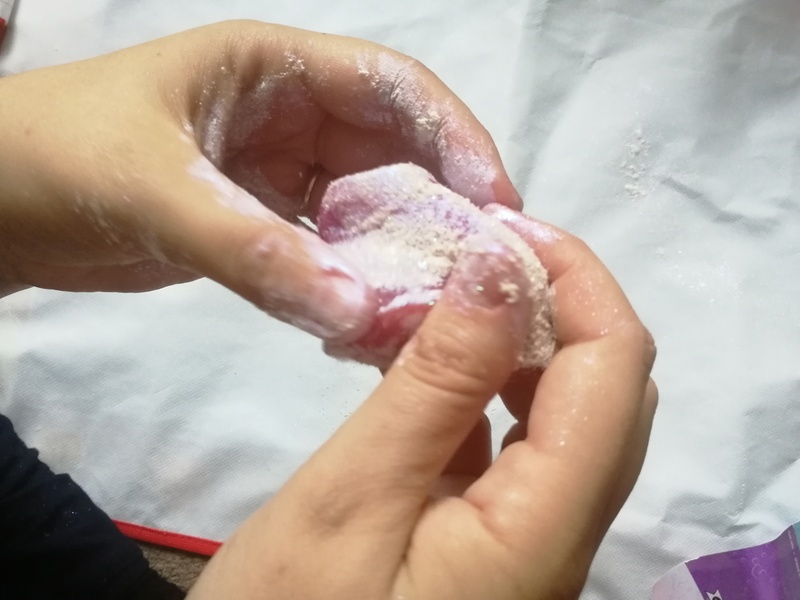 We had loads of fun discovering which keychains we had got and making the slime before storing our slime in our Poopsie keychains for another day. 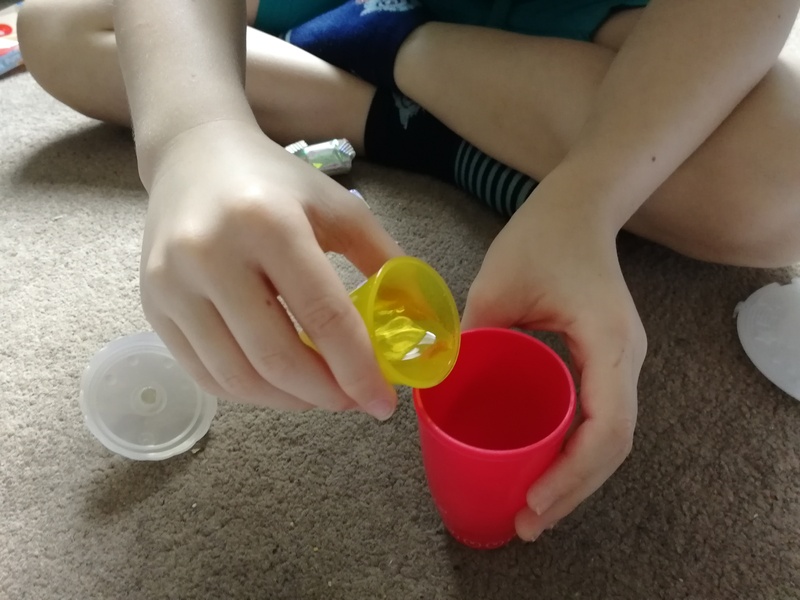 Whilst I am not a big fan of slime, Jack loves it and he really enjoyed the whole experience with these. 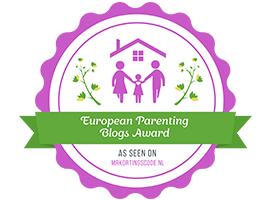 If your child loves slime and has a thing for ‘toilet humour’, then they’ll love this. I can definitely see these being popular stocking fillers this year! Mine have been asking for these. 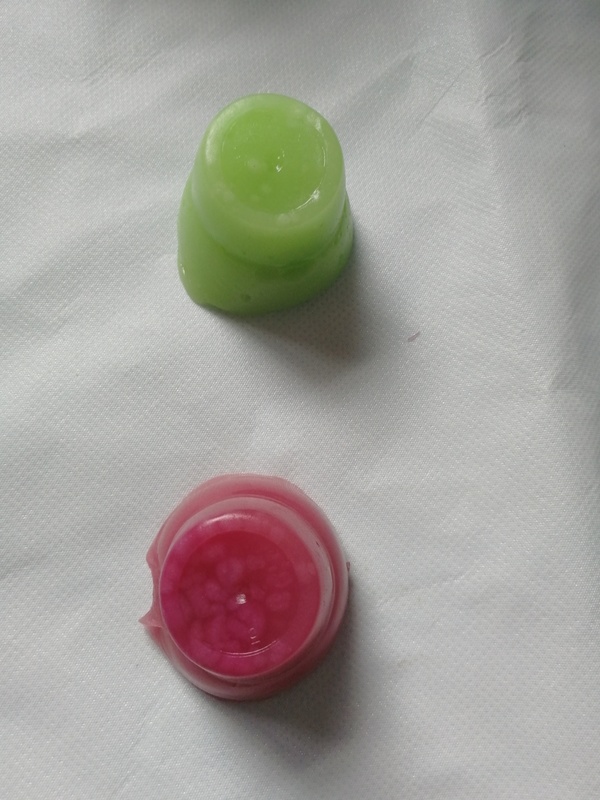 They look great for children – many are obsessed with slime at the moment. 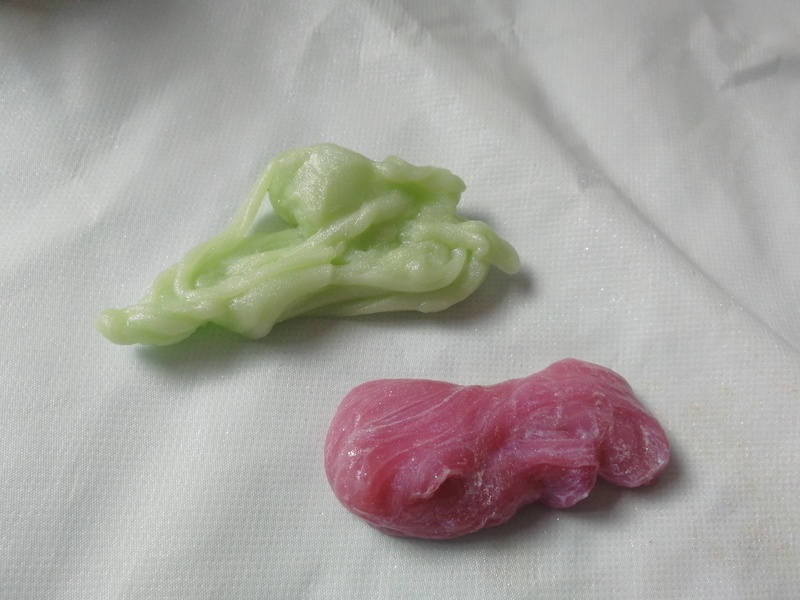 I too am not big on slime but my nephew can play with it all day nonstop. I am not sure of the brand that they bought for him but I will still recommend this one to day. This looks like a lot of fun – especially for those who love slime like Jack! Never seen these before but it looks so fun to make them!